DAC - Help me find a cheap suitable one. Discussion in 'Hi-Fi Stereo Systems & Separates' started by Fradam, Mar 1, 2013. The reason for this is because I have some distance from my PC to my sound system and some distance from my PJ to my computer and some distance from my PJ to my sound system. Imagine a triangle with 5 meters in between and sound system, pc and PJ & Playstation 3 in each corner, if you must. Now because of the distance I have been adviced to transfere my sound digitally because it dosnt degrade over distances, which is why I bought the DAC. My Issue then is that now I want my sound from the PS3 into my sound system and the only way to do that digitally is by using the Optical Toslink Output from my Playstation 3 and a 5 meter Optical Cable. USB Input so I can connect it as an external sound card to my computer just as the system I already have with my Prodigy Cube. Toslink Input So that I can connect my Playstation 3 here. Phono Jack Red/White Analogue Output As every DAC should have, so that I can connect it to my sound system. On top of that I dont have a million pounds. Im thinking something in the vesinity of 100$ is my budget. Rather than trying to find a DAC that is USB and optical input which I think will be difficult why not just get a cheap DAC for the Playstation and plug that into your audio system. You are going to struggle at that budget to find a DAC with switchable inputs. Do I need a Toslink to Miniplug cable to connect it to my Playstation 3? Or a Toslink to Toslink cable or what exactly do I need? 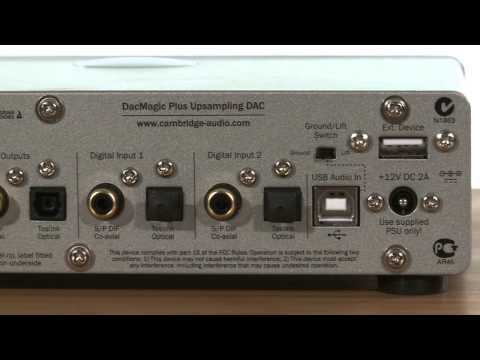 The DacMagic uses standard toslink inputs, no idea about the PlayStation but as you have one you can check. The PS3 has a full sized TOSLink so you need TOSLink to TOSLink. Denon DMD30 Minidisc deck, 2 toslink inputs. You can use MD decks as DACs and damned fine sounding they are. £20-£30. Proper PSU as well. I have used a PS3 into MD decks in the past. I do find it abit odd that Playstation 3 have Optical and not much else you use normally except mini discs have Optical in. Why put such an outdated audio out and no other way but hdmi to get sound digitally out, on the playstation 3? About the TOSlink male plugs on the back of the DAC I linked in this topic I found out those things that stick out from the Optical ports on the DAC isnt male TOSlink but plastic caps, that you take out and underneath are the normal female TOSlink. Can't you get analogue audio output via the PS3's multi-way socket - or have the later PS3 dropped that? Question Help with cheapo DAC!